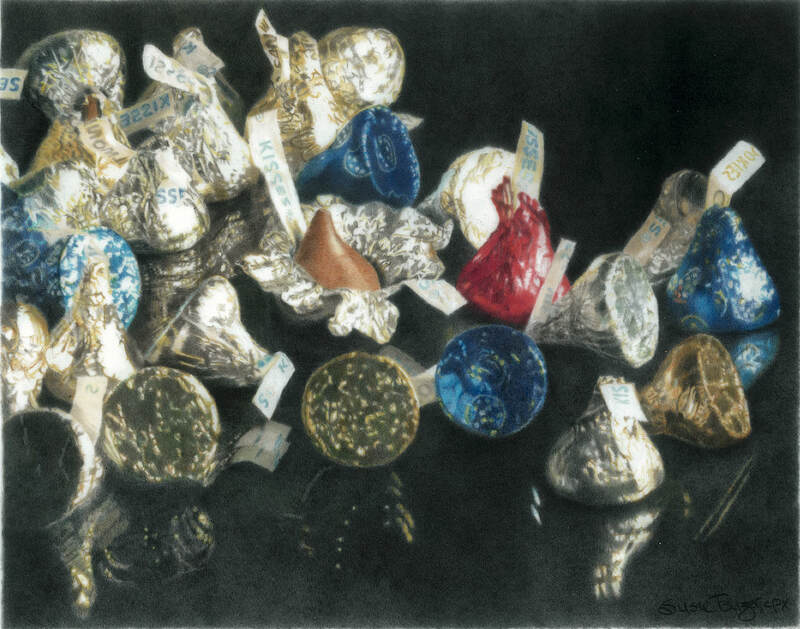 ​I’m amazed by the power of a colored pencil. Everyday objects are elevated when drawn with vibrant saturated color. People always say, “Wow, is that really colored pencil? They look like photographs.” I fell in love with the challenge of photorealism. It’s like magic, making things look real on paper. What’s important to me is communicating happiness and joy, allowing you to see what I do ... seeing the ordinary as extraordinary. I went to art school many years ago, but I learned colored pencil technique on my own after I retired from teaching. Poking around the internet, I ran across some colored pencil work and decided to give it a try. I bought a set on eBay and became immediately hooked! I work everyday in my studio, whether for competitions, commissions or galleries.